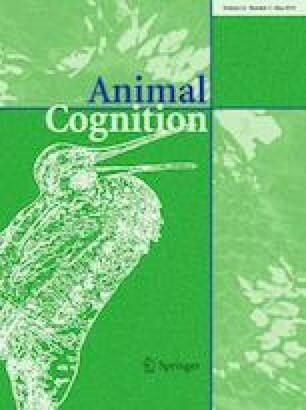 Performance on different cognitive tasks varies between individuals within species. Recent evidence suggests that, in some species, this variation reflects the existence of coherent cognitive strategies bringing together positive and negative relationships between tasks. For example, Carib grackles show a speed–accuracy trade-off, where individuals that are fast at solving novel problems make more errors at discrimination learning than individuals that are slow solvers. Pathogens are thought to play a major role in shaping variation in cognition, either because different cognitive strategies lead to differential exposure to pathogens, or because investment in cognitive abilities is costly, limiting the ability to invest in anti-pathogen responses. In both cases, immunocompetence is expected to co-vary with cognition. Here, using wild-caught Carib grackles, we tested whether performance on reversal learning and detour-reaching tasks is associated with the speed–accuracy trade-off found in a previous study. In parallel, we measured the response of individuals to a phytohemagglutinin (PHA) injection, an immunoecological technique that assesses general immunity. Performance on two problem-solving tasks and two learning tasks was characterized by a speed–accuracy trade-off, reversal learning and discrimination learning performance being better in individuals with slower problem-solving performance. Detour-reaching performance was independent from this trade-off. Finally, our results show that PHA response was higher in accurate but slow grackles, and higher in grackles with better detour-reaching performance. Investigating the emergence and maintenance of variation in cognition in a framework integrating variation in physiology and life history is likely a major step towards a better understanding of the evolution of cognition. The online version of this article ( https://doi.org/10.1007/s10071-019-01258-1) contains supplementary material, which is available to authorized users. We thank C. Rowe for his help in building the aviaries at the Bellairs Research Institute, and L. Jacquin for helpful discussions. This work was supported by a postdoctoral fellowship from the Fondation Fyssen to S.D., a FQRNT doctoral scholarship to J.N.A and an NSERC Discovery Grant to L.L. All our procedures were approved by the McGill University Animal Care Committee (Animal Use Protocol 2013–7140) as well as the Natural Heritage Department of the Barbados Ministry of Environment and Drainage (permit 8434/56), and all applicable international, national, and institutional guidelines for the care and use of animals were followed.